Here at Inman Sports Complex, we pride ourselves on providing the ultimate hockey experience with levels of play ranging from beginner to expert. We run 4 sessions per year, seven days a week. Each session includes guaranteed 7 regular games and 1 playoff game. Enjoy our state of the art 190 x 85 foot NHL caliber board and tempered glass constructed rink with sport court surface. We offer the most competitive level of play that includes over 115 teams spanning 5 levels of expertise, meaning your competition always varies within each session. Sign up as a team or join us as an individual player, all levels are welcome. Schedules, scores, stats, and team standing are kept and recorded for all registered teams. If you are serious about the game join us here at one of the largest roller hockey programs in New Jersey. Fees: $1150 per Team plus $ 25 per game ref fees. Pay in full by game one and save $50 off league fee. Individuals welcome for only $155.00 per person. Teams must pay 50% by game one. League fee must be paid in full before game four. 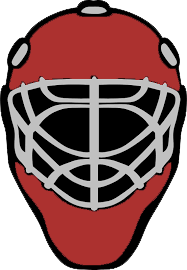 Fees: $125 per Player plus $25 season ref fees; Goalies pay only $25 ref fee no league fees. U12 & U16 Leagues available. Must be paid in full by game One. Membership to the Inman Sports Complex is open to all members of the community. Membership may be obtained by completing the appropriate Membership Registration Form and by paying the annual registration dues. Membership entitles the player to utilize the facility as a registered team player in league play, participate in practice sessions, tournaments, clinics, open pick-up games and other future activities. Membership benefits include discounts on field bookings, party discounts, access to special programs at discounted prices. Membership also allows us to monitor player behavior on the field; adding extra assurance that only players that demonstrate proper behavior participate in leagues. Membership may be revoked at the discretion of Inman Sports Complex. Members must provide proof of membership in the form of an issued card. Only cards issued by Inman Sports Complex will be accepted. For league: NO PASS, NO PLAY. Passes either lost or stolen may be replaced for a fee, if member forgets card a temporary pass may be purchased. Teams are scheduled on a first-come, first served basis. A team is required to pay ½ of their fee BEFORE the start of the first scheduled game and the remaining balance BEFORE the start of the 4th scheduled game. League fees must be paid in full on the night of the first game to receive the early-payment discount. Teams dropping out of a league will forfeit their league fees. Teams with outstanding fees shall not be allowed to re-register until prior session is paid in full. Re-registering teams will be assigned to a division based upon availability and performance in past session(s). The top two and bottom two teams in a division at the end of a session are subject to promotion or relegation to another division. Inman Sports Complex reserves the right to make the necessary changes within league divisions to ensure an equal level of ability and competition. Player rosters must be turned in prior to the FIRST LEAGUE GAME. Changes will be permitted prior to the SIXTH (6th) GAME. Failure to comply will result in forfeiture of all games played with illegal player(s). Players may only be added later if a player is injured and removed from the roster for the remainder of the session. Proof of injury must be provided. Acceptable proof shall be a doctor’s note. The Inman Sports Complex management would like to reaffirm that referees appointed to officiate each game have complete authority, and that his/her decisions on points of fact connected with the game are final. Officials are independent subcontractors and are not employees of Inman Sports Complex. Officiating will be monitored and assessed periodically and in-house training classes will provide for quality officiating. Constructive comments regarding officiating are welcomed and encouraged. Please submit any such comments in writing. Complaints regarding officials should be submitted in writing and contain points of fact. Do not discuss officiating or the officials with the facility staff during or immediately after your game. Individuals are expected to play under control and within the rules of the game, and to the best of their ability will avoid causing injury to themselves and other persons using the facility.